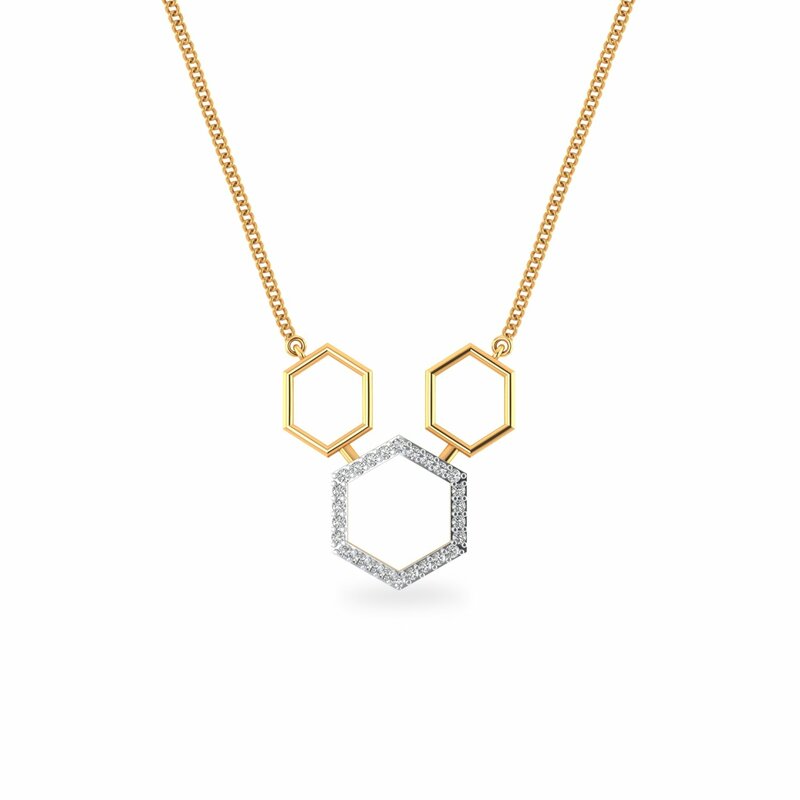 Hexagon itself is one of the most attractive shapes to begin with. But in a series of gold and diamond-studded rings to form a trio, this daily wear pendant lends the much-needed opulence to your party look. Worn with a western outfit or an ethnic ensemble, it is sure to make heads turn. So what is the wait all about when a diamond pendant so rare is available online? Hurry!